At first, the thought of using Metro was a foreign concept for Robin. But she gave transit a try when her job started moving to different locations throughout the region, and soon her familiarity with the transit system became so second nature that she no longer required a car of her own. Today, Robin’s commute to the campus of Barnes-Jewish Hospital is about 30 minutes. To get there, Robin boards the #80 Park-Shaw in the Shaw neighborhood and rides the bus to the Central West End Transit Center, adjacent to the Central West End MetroLink Station. Robin enjoys chatting with fellow bus riders, checking Facebook and getting an early start on emails. 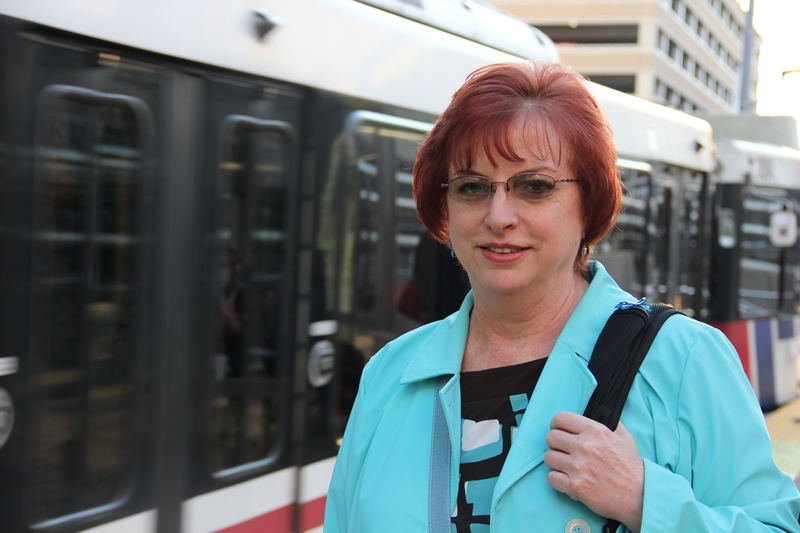 To get the latest transit information, Robin utilizes a transit app on her phone. The ability to have the latest information in the palm of her hand is good for her and her fellow riders. “I constantly use the transit app to tell people how to get around or when the next bus is coming when they aren’t sure,” she said. Robin uses Metro because it’s convenient and inexpensive — two attributes that’ll keep her on board for the foreseeable future.